This blog tells about Cuban music: its history, styles and topical issues. 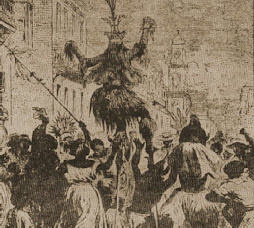 Although the birth of Son can not be accurately placed historically, according to some informants it seem to be the nineteenth century. From the geographical point of view Son was born in rural areas of eastern provinces near Guantánamo, Baracoa, Manzanillo and Santiago de Cuba. Poor former slaves, who cultivated a plot of land in mountainous areas, were called montunos. They lived in palm-built houses called Bohios. Montunos played three stringed instrument called tres. With tres they played rustic instruments called maracas and taborets. 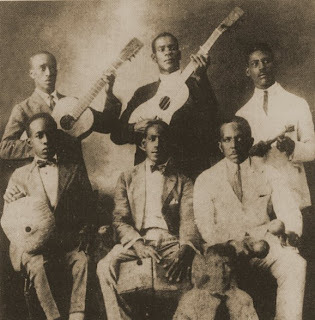 Little by little were introduced instruments like bongo, marímbula or botija, güíro or guayo and guitar. At first glance Cuban tres seems to associate with the tradition of Hispanic background, because it looks like a little guitar with three double strings. But if you analyze its rhythmic and melody-harmonic function, you will find African, especially Bantu background. Tres is a fundamental instrument in Son. When the Son groups were modernized piano took the place of tres in the Son conjuntos. Kiribá is an other example of oldest forms of Son. As the Nengón it is a music style and also a party with the same name.